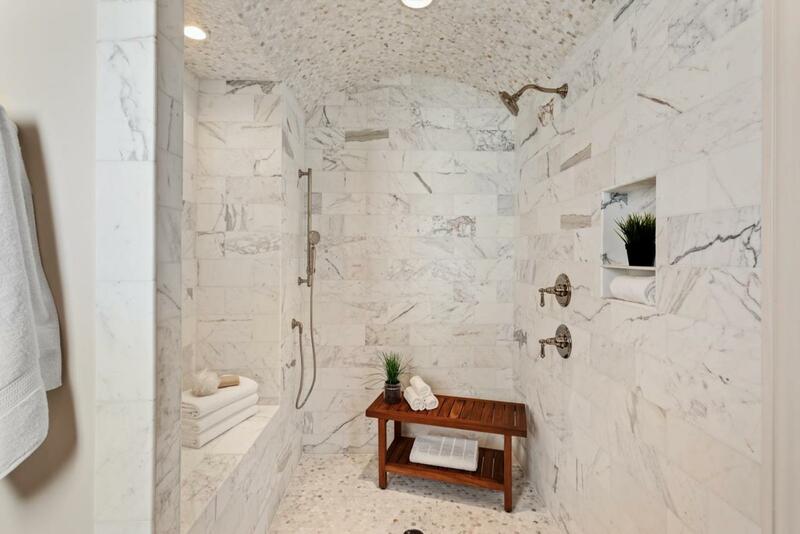 Take a look through the Nashville home listings — I’d guesstimate that in at least 85 percent of the new builds you come across, at least one of the bathrooms and/or the kitchen backsplash is decked out in some manner of subway tile. That’s for good reason: Builders and investors know that Nashville homebuyers still like subway tile. Even if they don’t love it, they rarely hate it. And that has value. But standing apart from the mix has value, too, and a lot of designers are experimenting with the less expected, with great results. If you follow TJ Anderson Homes on Instagram, you probably see a lot of the in-progress shots of our home builds and renovations, as I’m choosing tiles. 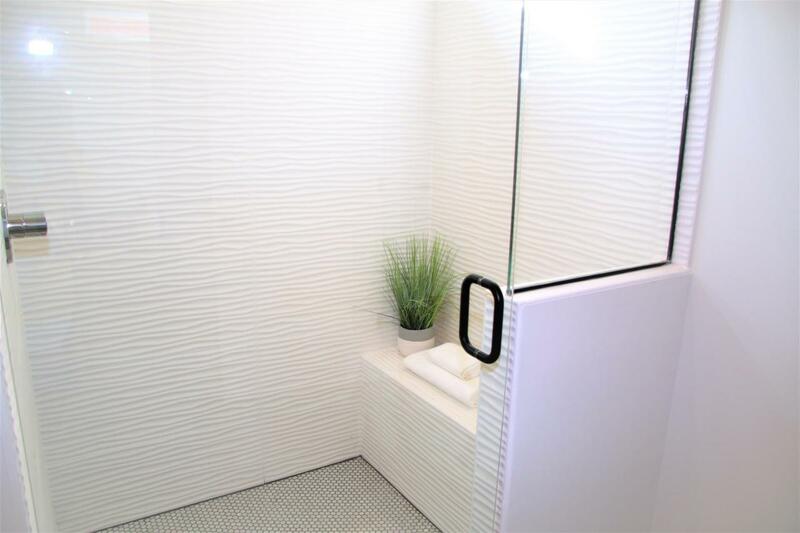 I’m not afraid to step outside the subway-tile box; my approach tends to be to balance more expressive tile choices with more neutral ones, both because it lets the bolder tiles pop, and because it ensures that you’re not overwhelming the space. 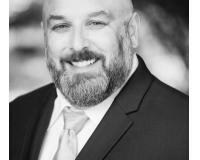 My homes tend to sell quickly, which I take as some indication that the balance works. This has been my rising tile-trend pick for a while now — if you’re really looking to make a statement with a backsplash or a bathroom floor, nothing feels quite as impactful or of-the-moment as patterned encaustic/concrete tile. 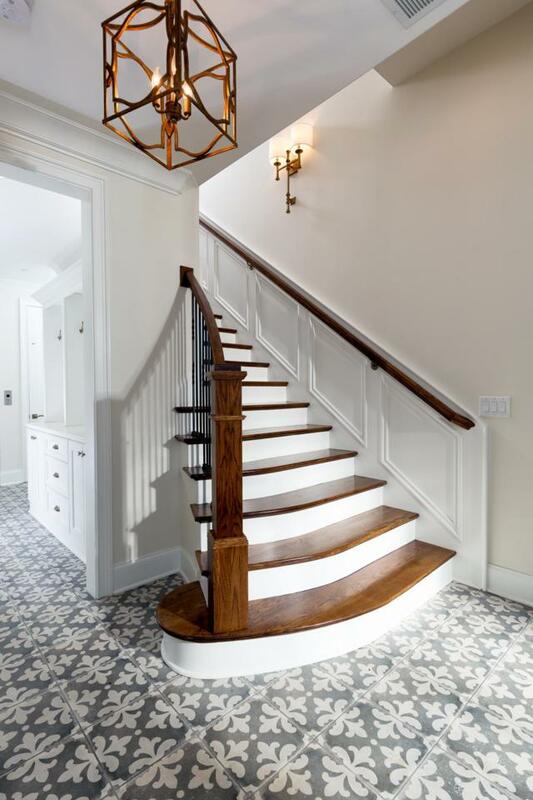 You’ve been seeing it in high-end homes in Nashville more and more over the past year or two, and I think the trend has barely begun, because when done well — like in the entryway of this Richland Hall build — it has the kind of classic luxury that’ll stick around. 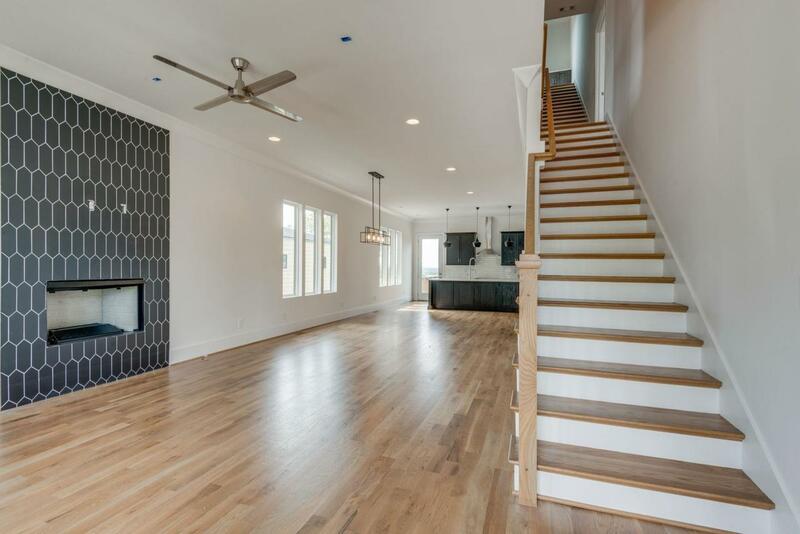 Another option that never goes out of style, but has definitely crept back to the foreground with more high-end homes, like this new Green Hills home. 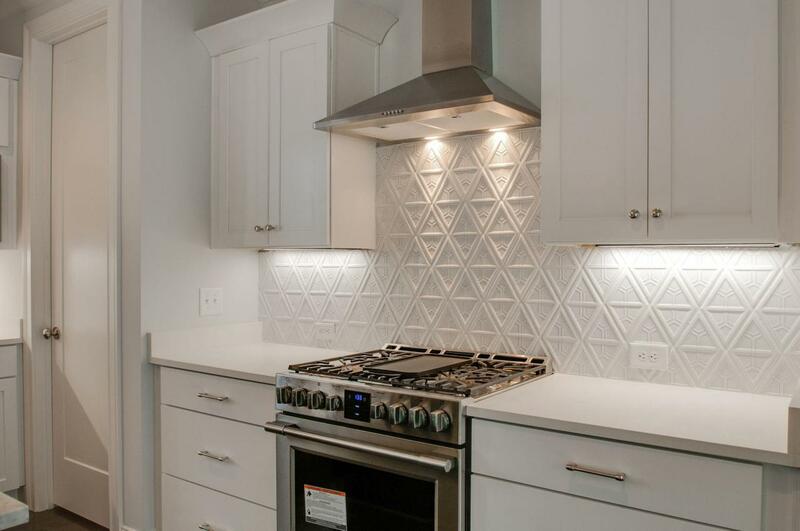 Probably just behind encaustic tile, this is the tile option I’m seeing growing the most: simple colors and textures in cool and unusual geometric patterns. It really gives the simple black/white contrast in this Historic Whitland bath extra personality, doesn’t it? It’s not just for fences. Picket tiles are another classic, and really deliver if you want something glamorous, but not as delicate as a hex tile. This fireplace surround in a new home in 37207 shows how effectively picket tiles can anchor a space. 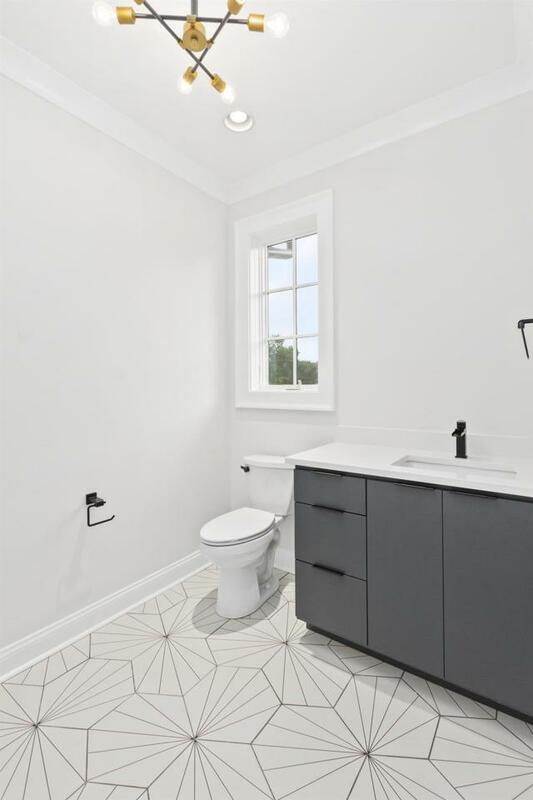 Those are just a few of the tile choices I’m seeing more and more of, and that I think home-design pros and style-forward homeowners will be choosing in 2019. If you’re down to talk tile, I’m always game to share more favorites and recommendations. Just reach out. And if you’re looking for a new home in Nashville that meets your style needs, I’d love to help there too. Take a look at some homes for sale in Nashville, and call or email TJ Anderson Homes here.